SEO or whatever your firm is calling it these days is not dead, yet as my daily emails come in with SEO-related articles, I see the plethora of ‘SEO is Dead’ posts mounting. Though I know it’s not and most would roll their eyes at the thought of reading one more such post, I rhetorically ask then, why are so many SEOs acting like it is? You hear it all the time now: experienced SEOs talking about getting out of traditional SEO, link builders who won’t speak on the subject, and the latest mantra – that content marketing is now the only way to build your site. Well, I like Google guidelines, too. But who has been filling so many water bottles with the proverbial Kool-Aid? And why is everyone drinking it? Core SEO Best Practices Still Work! In fact, they are still in Google’s Webmaster Guidelines. Traditional, core SEO has not changed. Traditional, core best practices in SEO still works. Core SEO has actually never changed much. Same thing, just a little less elaborate categorization. So Why Isn’t SEO Working Anymore? Unfortunately, so many people have either tried for so long to get by doing as little as possible (or as much gaming as possible) or don’t have enough information on how SEO works that they find themselves slipping in the SERPS. They think it must be that SEO does not work anymore. That is simply not the case. 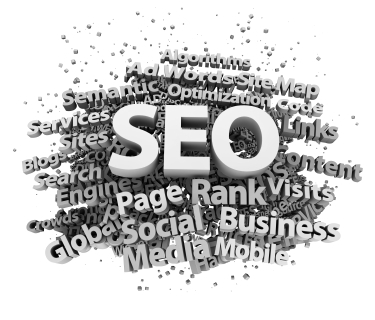 Now does it mean SEO has not become more difficult? That the algorithm is not more aggressive and that Google is not making it more difficult for site owners? No. Of course not, but it does not mean solid SEO does not work. It just means it is not easy to change your own oil anymore, so to speak. With the removal of keyword data, the introduction of many more penalty opportunities and the overhaul of the entire algorithm with the introduction of Hummingbird, SEO is not for the faint of heart, but it is for the informed. What the changes of the past year do mean is you have to be better now, your SEO has to be more holistic and you have to get more of those site quality points. Using the American Grading system, the C-, D and F students all got graded on the A curve and have been moved to the bottom, leaving only room left at the top for those following the guidelines fully to position well. Either that or if you are a guidelines gamer, you have to be really, really good at it. Again, the curve moved, but the game did not go away. As long as those core guidelines remain, so does the ability to do well following those guidelines (or gaming them – again if you are really, really good). How do we know? Because following those guidelines is how we know we can get penalized sites out of penalty status. Do you want to show Google a site wants to find its way back into the SERPs again and play nice? Follow the guidelines. Wait to regain some trust and get out of the “penalty sandbox” by what? Following the Google Webmaster Guidelines. Ok, so it is not quite as simple as that; there is some tweaking involved, but with the guidelines in mind and some proper consulting knowledge, your site will most likely see the light of day again. For those who are new to the Guidelines, Google has a simple guide that can help get a better understanding of just how these work with your site and what you need to do to make your site better in their eyes. What About Links? The Game is Gone Right? The new “If I just write good content they will come,” mythology is prevalent in the industry. Content marketing has taken over and I have had talks with many site owners who have been sold the idea that if they just build great content “they will come;” the links, the people, the traffic, the conversions. But it won’t. Why? If you had a store in the city and no one knew about you, no one would come there, either. Links are a way from one site to another to let people know that your site exists. They are also still one of the strongest signals to Google that your site is meaningful. Why do you think they have been attacking false links so hard? You must still find ways to “acquire” them. This acquisition does NOT mean link buying (again, unless you are a very good “alternative strategies planner”), but we are talking Google Guidelines here today. In this case, the curve has gone strong to “A+” only. If you are not the best at this — if you do not fully understand link building and all its intricacies, pitfalls and extreme downfalls — you are likely to get tripped up. A risk assessment is a necessary step in understanding how your business selects its link strategy. There are plenty of link acquisition strategies that do not violate Google’s Guidelines, just as there are many in the gray and others that are flat out dangerous. You have to determine your company’s risk profile. A word to the wise, though, never play fast and loose with your main domain. The risk is you are out of business with no way back and handing out pink slips at the door. So if SEO is not dead and is all about grading on the curve, can you just go back to the old ways? Sadly, no. Google has shown us it is going to be aggressive in its attacks on website strategies, as well as the amount of space it allows for organic rankings. Websites should incorporate diversity into their long range plans. Whether that means using social media relationships, developing alternative buying channels for ecommerce or offline niches for local markets, Google has shown the environment is no longer the democratic space it once was and so you can no longer throw your eggs into the one basket. With all of that said, SEO is not dead. Core SEO tactics are still strong and Google still owns 66.9 percent of the search market, which means search and search marketing are going to be around for a long time. What you put into that is also an investment that pays you back over the long haul, (unlike other methods such as PPC, which is a continual buy cycle that never ends). Make sure you are still investing in your organic SEO and keeping your site strong for organic traffic. Just don’t forget about Bing; at 18.1 percent market share, there may be some life left in that old/new engine yet. See what’s on the Agenda! *Super Saver Rates expire Jan 24.